We completed the Food System 6 accelerator program with their Impact, Innovation, and Investment Forum on June 15th! We presented our pitch, which explained how we are seizing the $4 billion nut butter market opportunity to solve climate change by nourishing people and planet. We source from orchards that practice regenerative agriculture, which enhances the health of the soil by restoring its carbon content. Project Drawdown ranked regenerative agriculture as #11 of the top 100 most effective solutions to climate change. We employ over 10 of the Drawdown solutions in our business model. Learn more about Food System 6 here! This week, we celebrate World Soil Day and give thanks for this magical microcosm to which we owe our whole existence! Here’s the quick and dirty on the soil deals on our delicious regenerative nut butters: enter the code SoilLove22 at checkout on our web store to receive 22% off our delicious stone ground coconut butter, sprouted almond butter, and chocolate versions of both*. We are offering 33% off all our products purchased through our website to anyone purchases one of their books and sends us an email documenting the purchase*. Links to purchase their book through various retailers and e-tailers can be found on their website. As we celebrate soil, wildfires continue to erupt and ravage California, this time in the southern part of the state, where over 45,000 acres are burning as we write. Our hearts go out to those affected. This Facebook Crisis Response page lists ways you can help. We are reminded both that climate change is ablaze, and also that the solution is right under our feet. All we have to do is put the massive imbalanced excess of carbon in the atmosphere that is causing disruptive climate conditions and weather events back in the ground! This is where it was before we released it through degenerative agricultural practices and fossil fuel burning. We can do that by sequestering it in the soil through regenerative agricultural practices. Read more in this recent New York Times article. 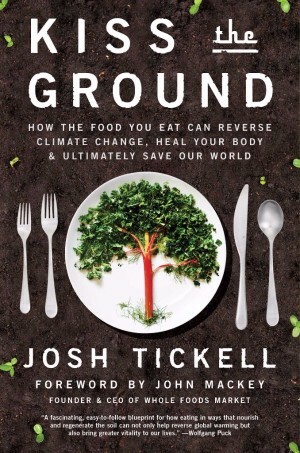 Soil is an astoundingly simple solution to astoundingly complex problems! But it requires rapid global systemic implementation. For our part, we have committed to becoming the world’s first carbon negative nut butter company. We’re small compared to the rest of our industry’s players, but we are hoping that other companies follow suit. We have made a climate commitment along with 141 other food companies as part of the Climate Collaborative to take action in 9 areas of our business to help reverse climate change. Half of our product line was recently rated Best for the World in the comprehensive third-party HowGood rating system, and the other half was rated Great for the World. We need your help to accomplish our lofty goals! If you want to get involved in any way, whether as an adviser, employee, partner, investor, etc, please reach out to us because we need to collaborate to reach our goals. Team work makes the dream work! This is some of the Great Work of our time and we look forward to doing it in collaboration with all you brilliant humans! 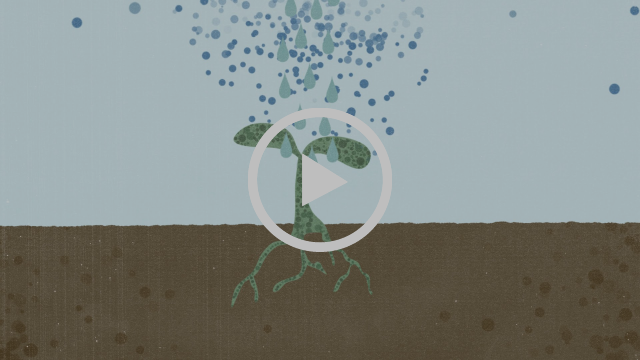 The Soil Story reveals how soil can reverse climate change. Want to celebrate the harvest season in a rural setting? Consider heading out to the idyllic Capay Valley for the Hoes Down Harvest Festival this Saturday! We’ll be sampling and vending our wares as well as educating and recruiting folks for the experimental dry-farmed almond orchard we’re helping to create in the Capay Valley. Not to mention getting down to some incredible music out in the fields of Fully Belly Organic Farm! Few people know that almonds can be dry-farmed. Even fewer people know that this was the way almonds were grown originally in California, dating back to at least the 1890’s when the trees were first brought in by the Spanish missionaries, and that this is still the way almonds are farmed in Spain. In fact, all the almonds in our products are unpasteurized almonds from Spain which have been dry farmed! For this reason, we are considering ourselves to be the first drought-conscious almond butter company. However, we don’t want to stop there. We are working to revive the practice of dry farming in the Capay Valley, where almond agriculture originated in California. Upworthy just posted a nice story about our efforts. With some luck, we can create a model to transform almond agriculture in California! We are looking for farmers and researchers to help us implement and study the practice of dry farming and other regenerative techniques like carbon farming and holistic management on an experimental orchard in the Capay Valley. Contact us if you or anyone you know may be interested. We’re going to be feeding the movement from October 8-11th in Hopland, CA with our regenerative nut butters at the Building Resilient Communities Convergence: The 10th Northern CA Permaculture Convergence! Santa Cruz friends! We’ll be debuting our products this Friday at the Artisan Food Market at the Food Lounge next to Mutari chocolate. We just moved our business to Santa Cruz on June 15 and are proud to be producing locally at the Old Sash Mill. We will also be debuting our line of Ostara stone ground coconut butter and Cocotella (chocolate coconut butter). Both so much smoother, creamier, and more decadent than mass-produced commercial coconut butters! Come get some local cuisine and invite your foodie friends! Please support us by Friday June 5th in taking our business to the next level in Santa Cruz on June 15th! Great Work requires funding to make the alchemy happen. We have just $315 left to raise on our zero-interest crowd-funded Kiva Zip loan of $5,000 as of the writing of this post. This week presents a high-impact chance to loan us $5 or more to take us through the finish line! It’s so close, you can almost taste the Creamy Alchemy and other luscious nut butters that will become available globally once we get into our new space and launch our mail order website! Through this Friday, June 5th, Kiva will be matching all loans from new lenders that we invite to Kiva Zip (up to $100). Because our loan is already being matched, we’ll receive double matching! If you loan us $5, we are loaned $15; if you loan us $100, we are loaned $300. With that awesome scenario, if 21 people loaned us $5, we’d be fully funded. If 1 person loaned us $100, we’d be fully funded. That’s the power of double loan matching! Loan matching will be turned off on Friday June 5th at 5:00 PM PST. Thanks for supporting us in this regenerative business adventure! Regenerative Almond Orchard becoming a reality! We have exciting news to announce in the realm of regenerative almond orchards! We are going to be pulling together a team of farmers, ranchers, and researchers to work on an experimental dry-farmed regenerative almond orchard in the Capay Valley! These folks will implement and track the usage of carbon farming, dry farming, polyculture, grazing, and other regenerative techniques on site. More details will be available in the coming weeks. If any potential candidates come to mind, please let us know by emailing tim(at)thephilosophersstoneground.com. Almondia is becoming real much faster than we could ever have imagined! If we can prove the concept here, then we will have a model to begin planting and/or retrofitting a network of regenerative almond orchards! Stay tuned for more details. In the meantime, please consider helping us with a Kiva Zip loan to take our business to the next level in Santa Cruz on June 15 so we may magnify our Great Work! Thanks to everyone for supporting us so far. We have 45 days to raise the remaining $3,415 and meet our $5,000 goal! Taking our business to the next level in Santa Cruz – help needed! We’re excited to announce that we are taking our business to the next level in Santa Cruz! We found an amazing production space 12 times larger than our current one in Berkeley, which we have been spilling out of for the last 9 months since we moved in. We need a larger space to meet the demand for our delicious nourishing creations! Our Kiva Zip crowd-loaning campaign to raise $5,000 through a zero-interest loan paid back over 2 years just launched to the global Kiva Zip benefactor community on their website! -If we reach 13 more lenders new to Kiva Zip from our networks who contribute to our loan, they will tweet about us! -If we reach 18 lenders new to Kiva Zip from our networks who contribute to our loan, they will match every following loan! Doing the math, we found that if you choose to lend us the lowest amount of $5, that’s just .68 of a penny per day over our loan period of 2 years! And we pay you back for that amount. Donations of any amount are much appreciated, but multiple small loans will get us through the threshold to start rocking hard on their website. Who’s on board to help us grow our regenerative business to a regional level? Click here and let’s do it as a community. Thanks to everyone who has supported us so far!